Attila is officially coming back to the UK and Europe in support of their new self-released album “Villain.” Villain is the bands first full length they completely worked themselves and it is tearing up sales charts across the globe. 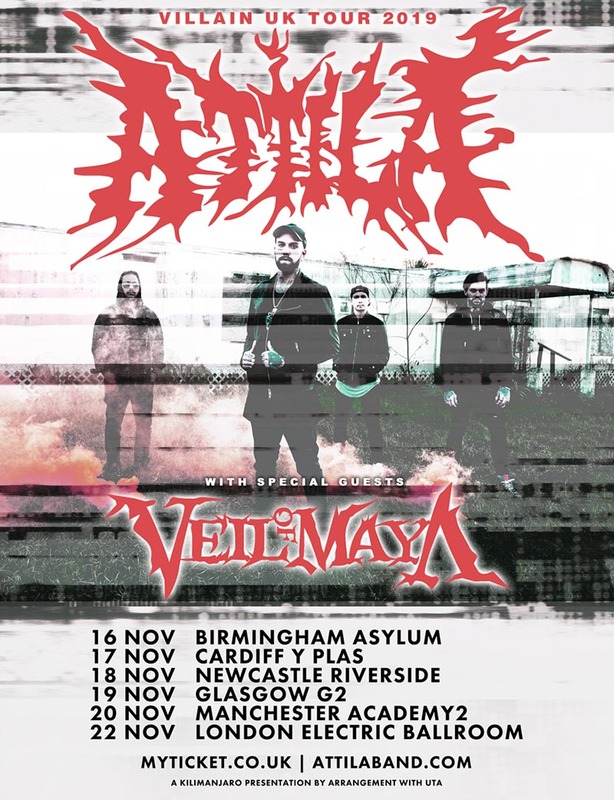 Supporting the band on the upcoming run is Veil Of Maya who most recently ventured the UK/Europe with Dance Gavin Dance. Get ready for the wildest, most extreme, and unfiltered Attila tour yet.